idli manchurian recipe | idly manchurian recipe | leftover idli recipes with step by step photo and video recipe. 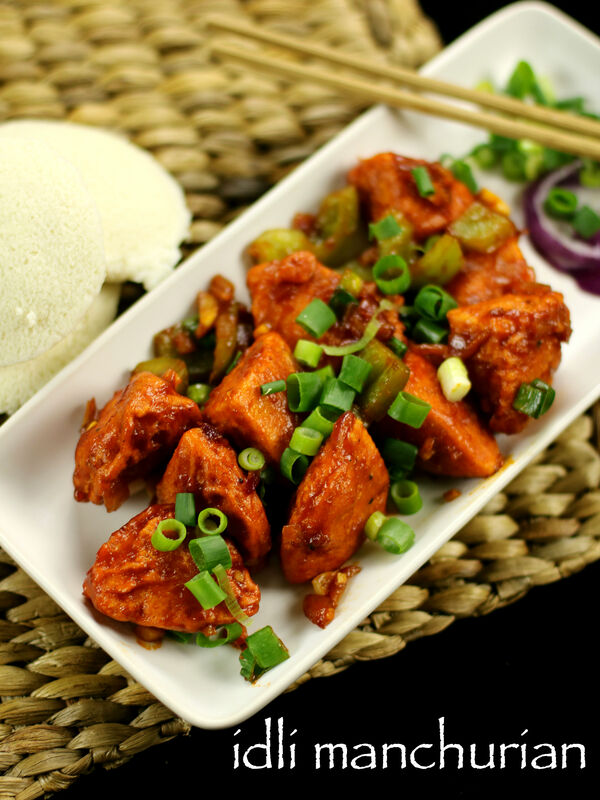 idli manchurian recipe is a popular street food recipe especially in south indian. this manchurian recipe is a mixture of chinese with an authentic south indian breakfast dish. idli manchurian recipe would give a great experience to your tongue in each bite. 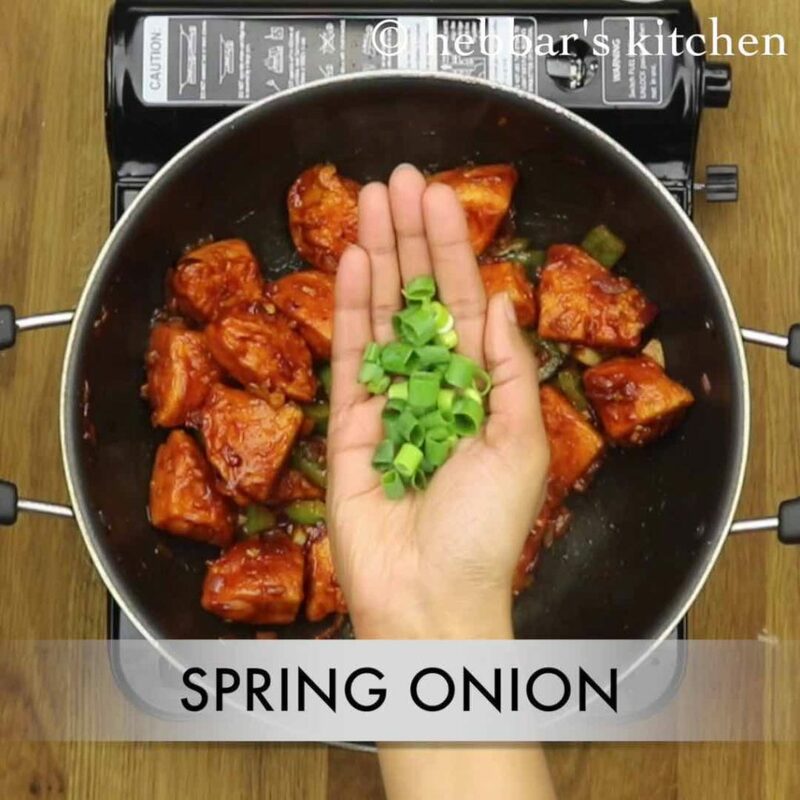 i wasn’t aware of this manchurian recipe until one day my husband surprised me by preparing this recipe to me. he learnt this recipe when he use to work in chennai. according to him, in the mornings the street vendors prepare idlis and sell it for breakfast. however, in the evening same street vendors transform themselves to indo-chineese food stall and sell these left over idlis as idli manchurian. whenever, i prepare idli’s for breakfast i prepare extra idli’s for evening snacks. i usually prepare idli upma or masala idli from these idlis. however today, my husband asked me to prepare the idli manchurian, similarly like gobi manchurian. 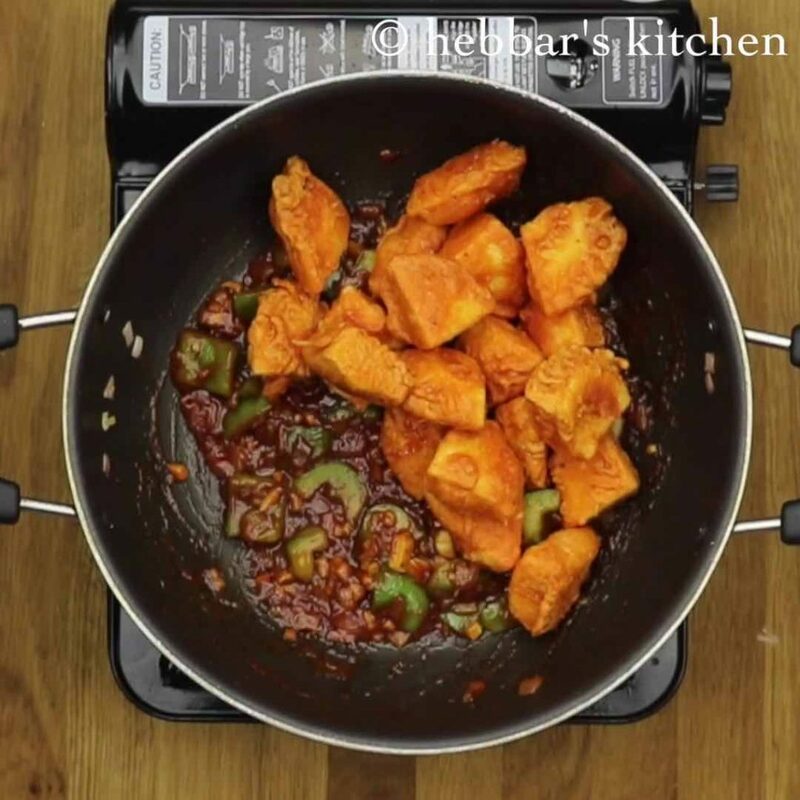 even i wanted to taste some indian street food and hence i decided to prepare this yummy manchurian recipe. i used corn and plain flour coating for these idlis. however, if you do not like, you can deep fry the idlis without the coating. 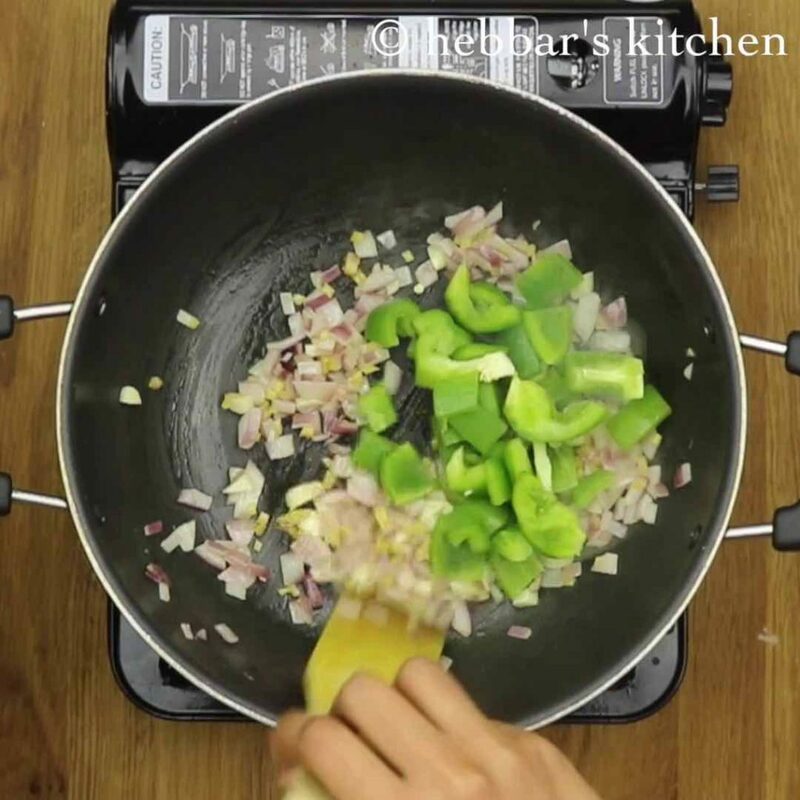 i have posted several other indo-cineese cuisine recipes like veg fried rice. 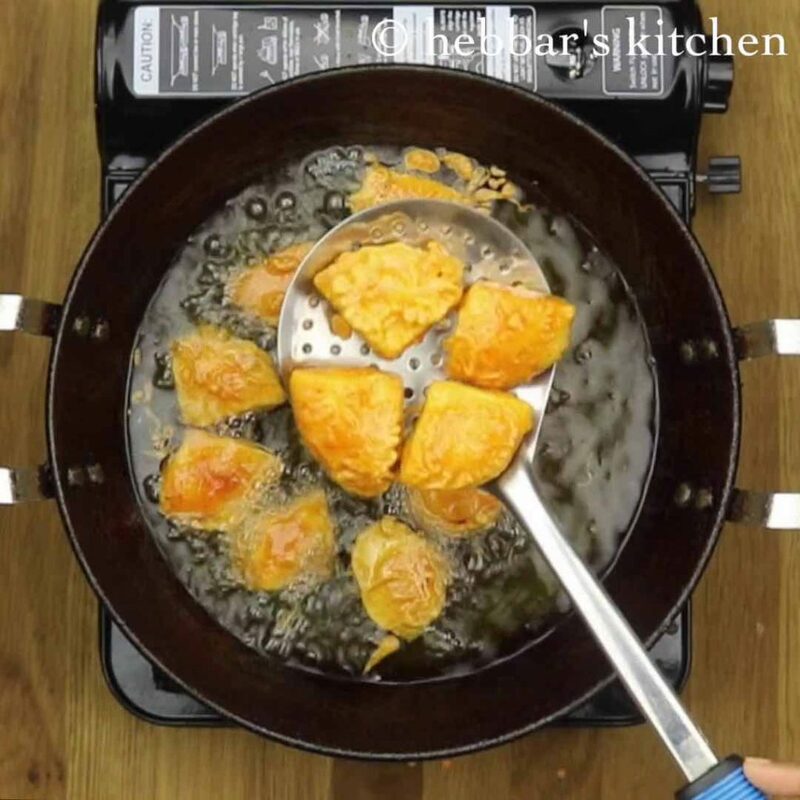 if you are interested on indian street food recipes, have look at my gobi manchuria, schezwan noodles, schezwan fried rice and hot and sour soup. finally check my instant recipes like instant poha idli, stuffed idli,oats idli, rava idli. if you are looking for traditional idli recipes then you must check kotte kadubu, idli with cooked rice and mini idli recipes. 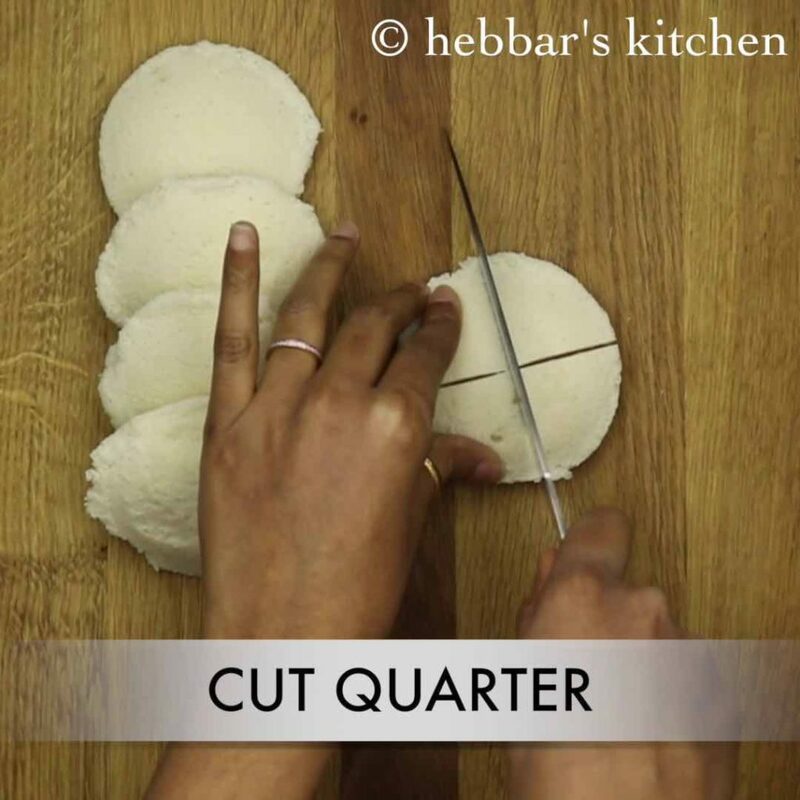 chop all the idlis into 4 quarters and keep aside. 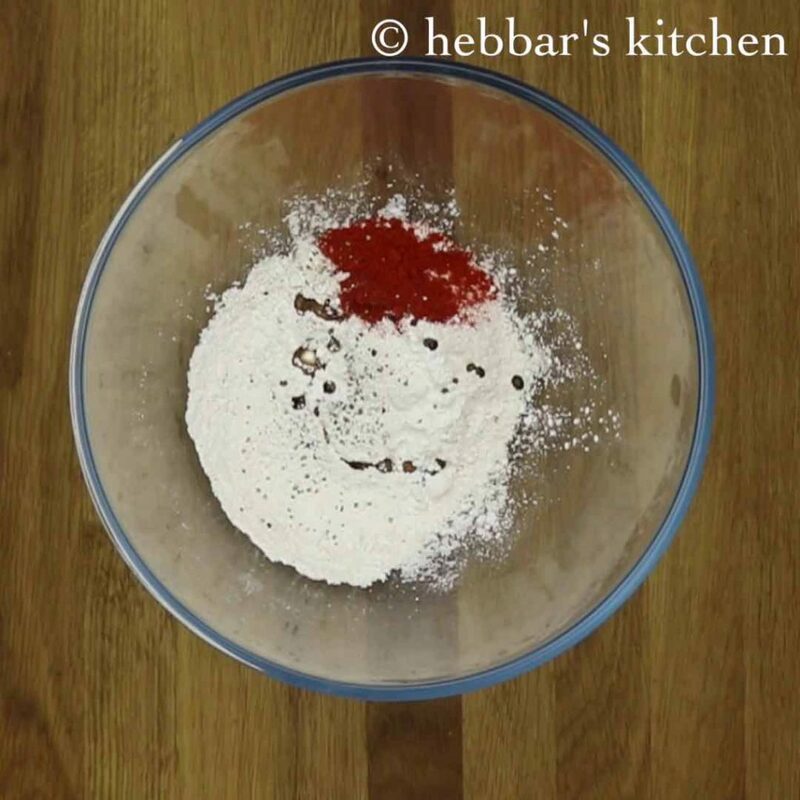 in a large bowl mix together take maida, corn flour, salt, kashmiri red chilli powder, black pepper and soy sauce. give a good mix. 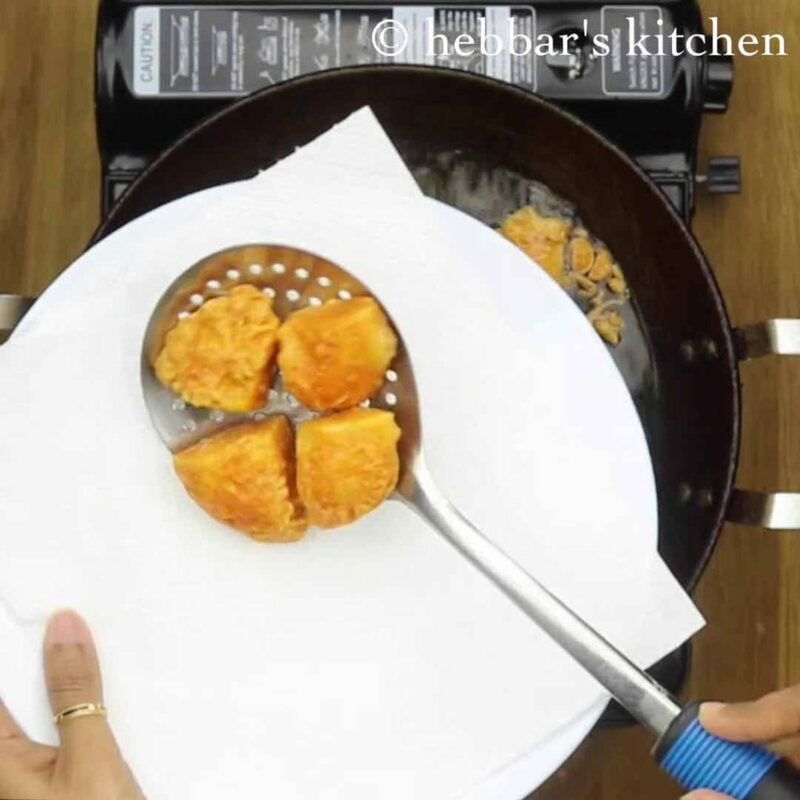 dip each idli pieces into the batter. coat them well and deep fry. 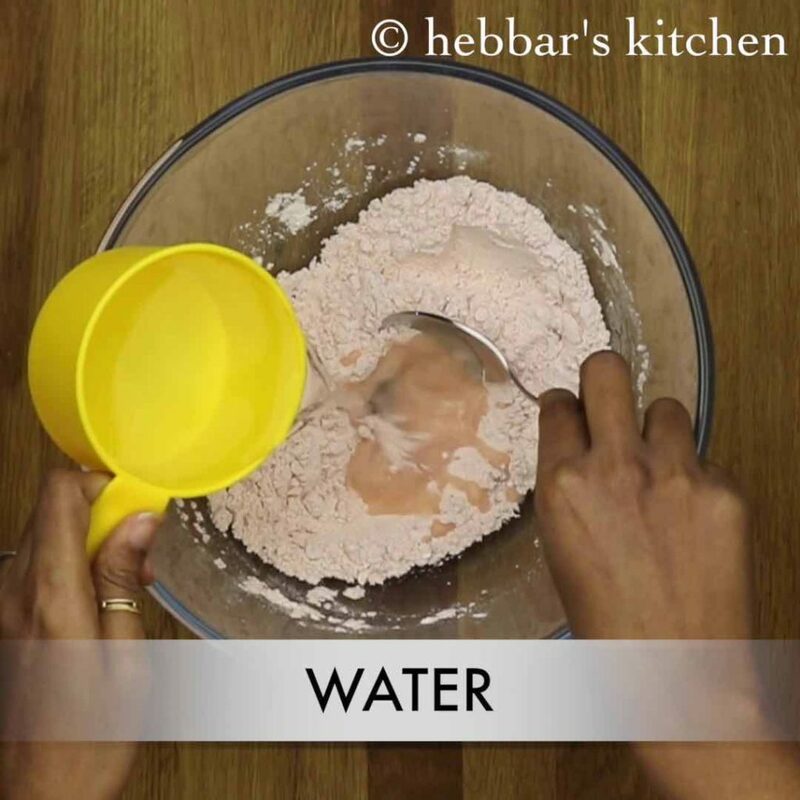 drain the fried idlis on a kitchen paper towel to remove excess oil. 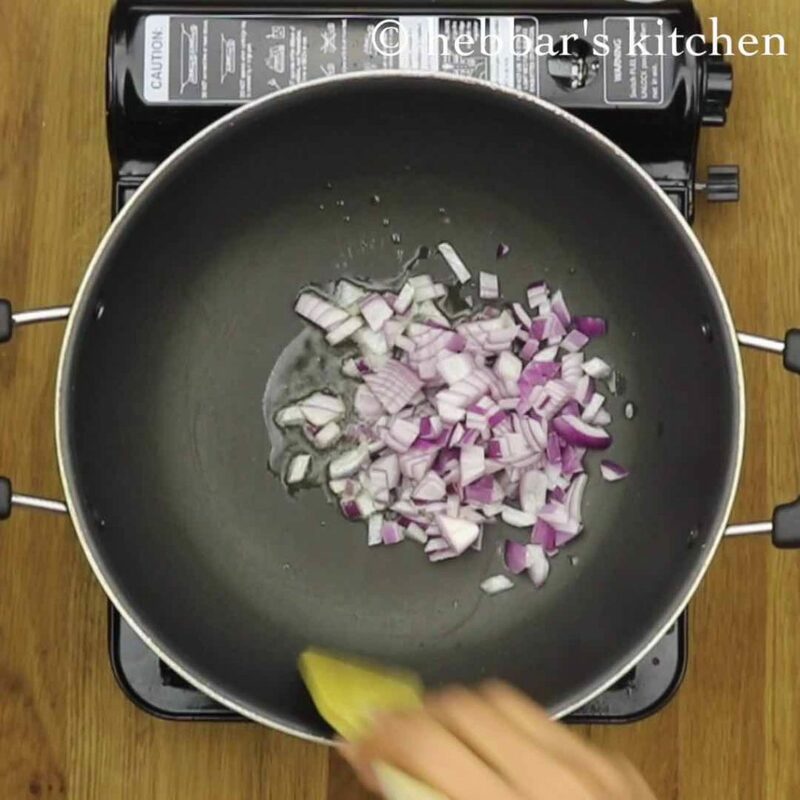 in a large kadai add 2 tsp oil add chopped onion. saute for a minute. 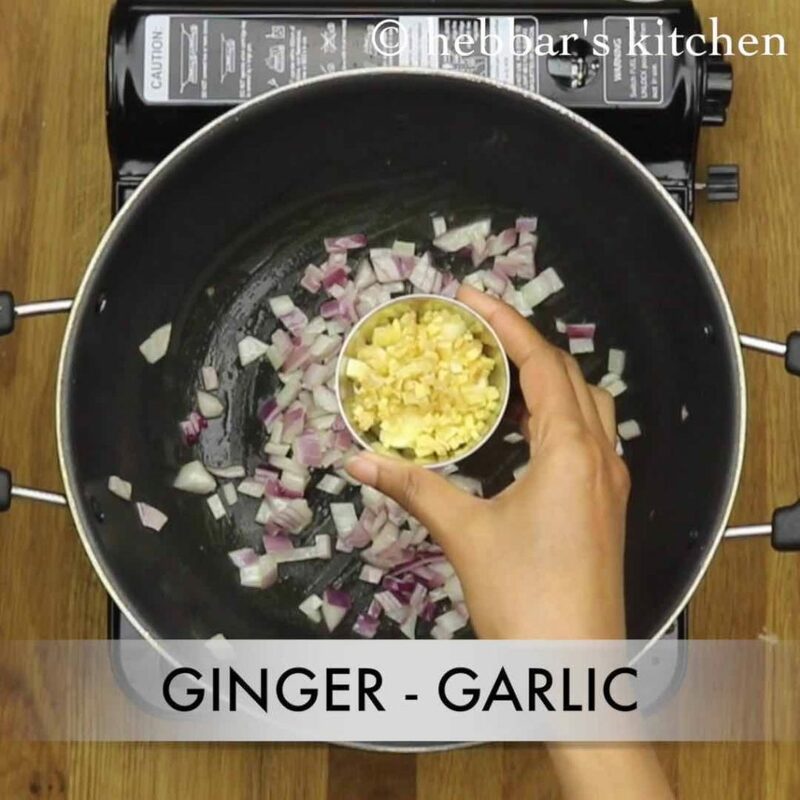 now add chopped ginger and garlic. saute for a minute. you can also add green chilli if you prefer spicy. add tomato sauce, chilli sauce add salt to taste. 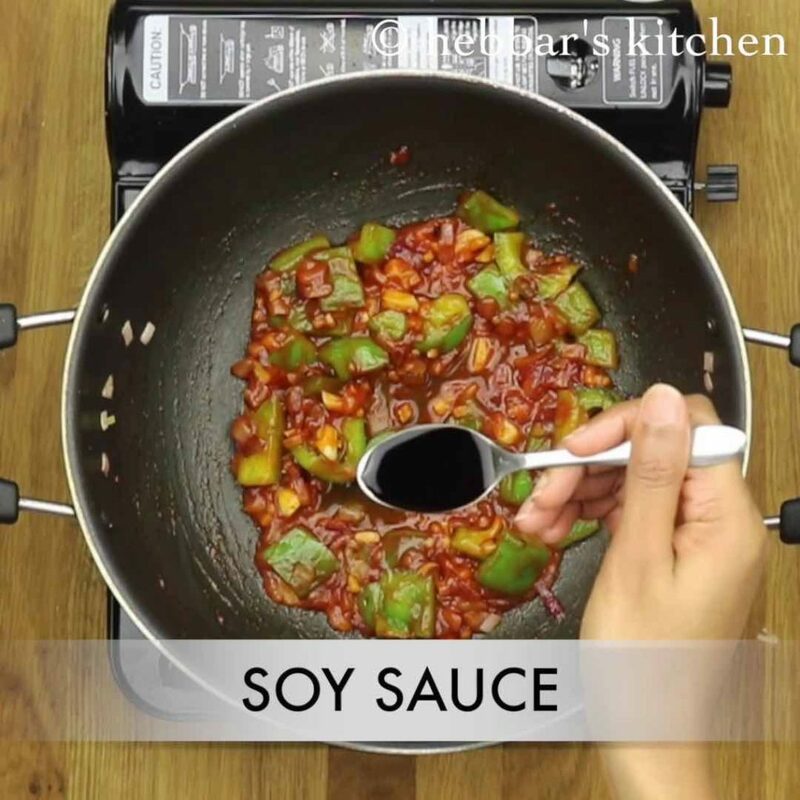 add 2 tsp of soya sauce and vinegar. give a good stir and cook for a minute. 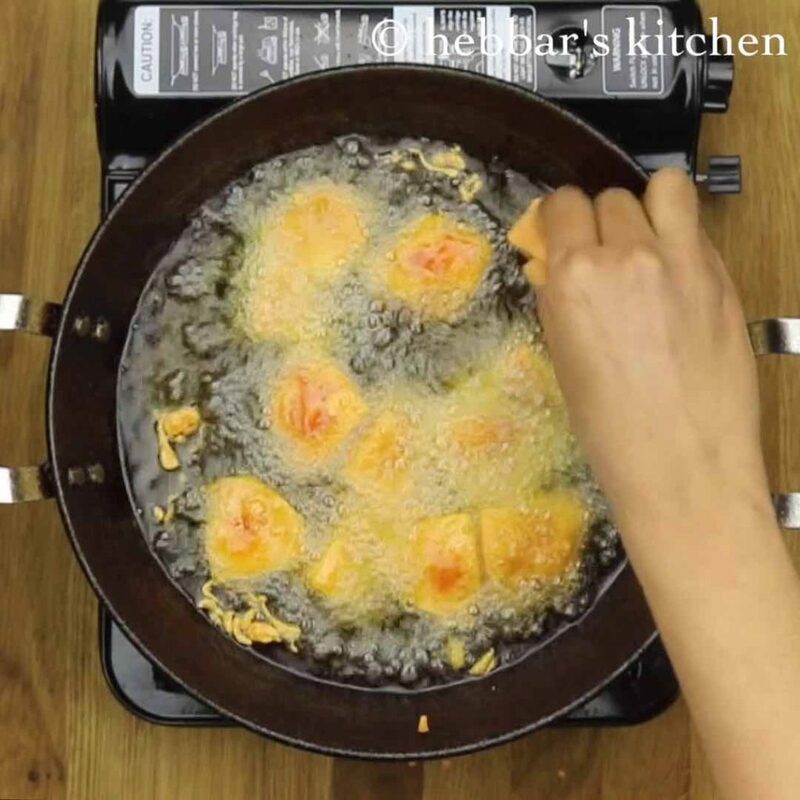 now add the deep fried idlis and give a good mix. coat the idli pieces well with sauce. lastly add some chopped spring onions greens and mix. serve with veg fried rice or mushroom fried rice. now add little water and mix well. 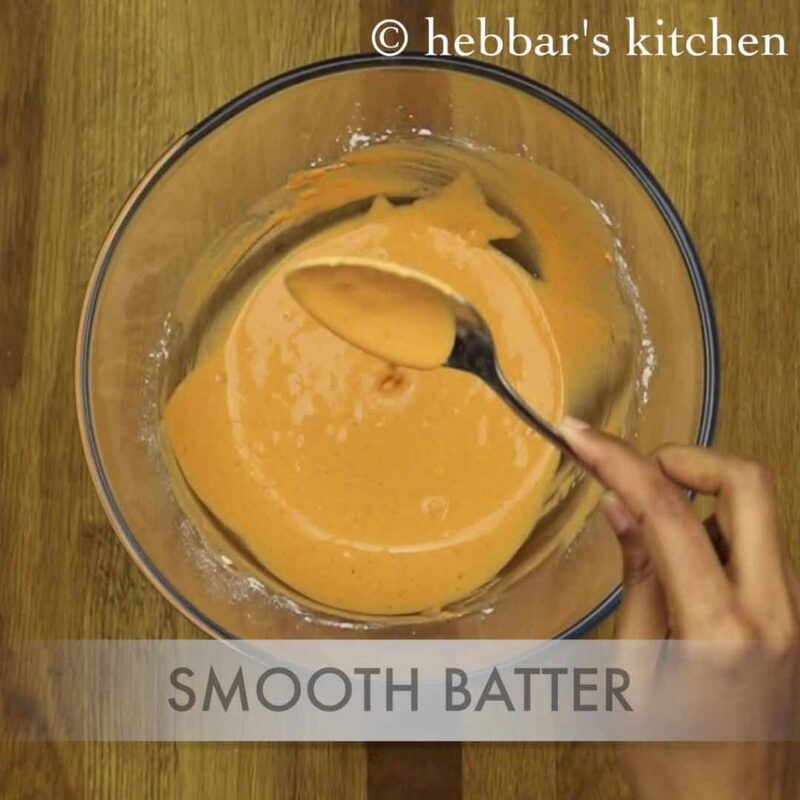 make a smooth batter. the batter should be of dropping consistency. serve with veg fried rice. you can also shallow fry if you don’t want to use more oil. 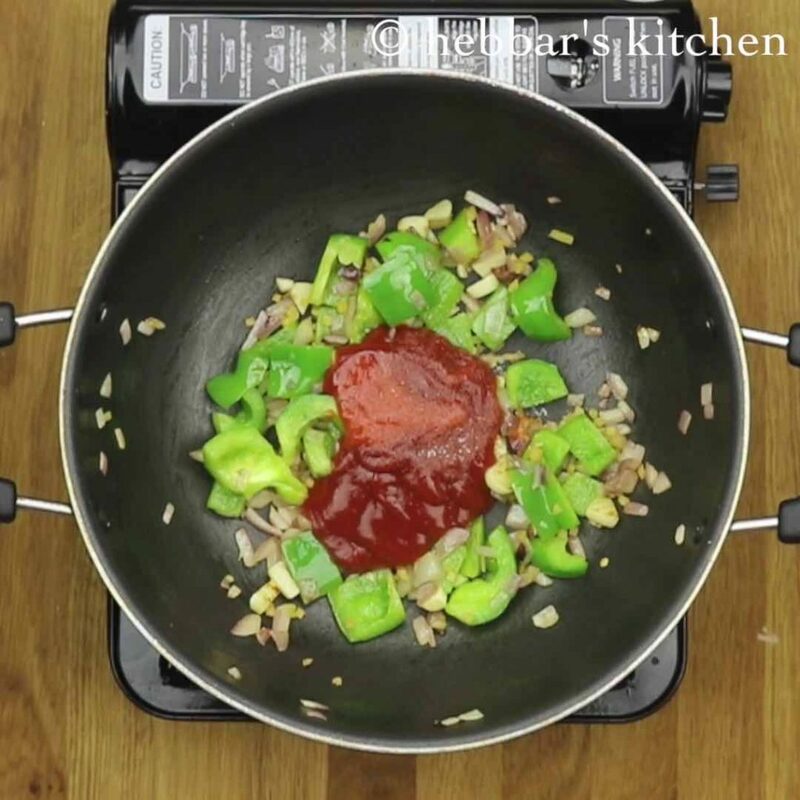 if you looking for bright red colour, add a pinch of red food colour. 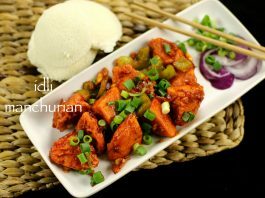 instead of idlis you can use gobi to prepare gobi manchurian. i have used idli prepared with idli rava, however; you can use any leftover idlis. cut the idlis into the shape of your choice. Thanks. An illetarate can understand and prepare.wonderful.